Early in 2018, Project Life announced that you could now print photobooks directly from the Project Life App! Awesome! They redid their templates to add extra buffer for bleed and binding. But what if you wanted to import older layouts into the app for printing? Those layouts need bleed added. 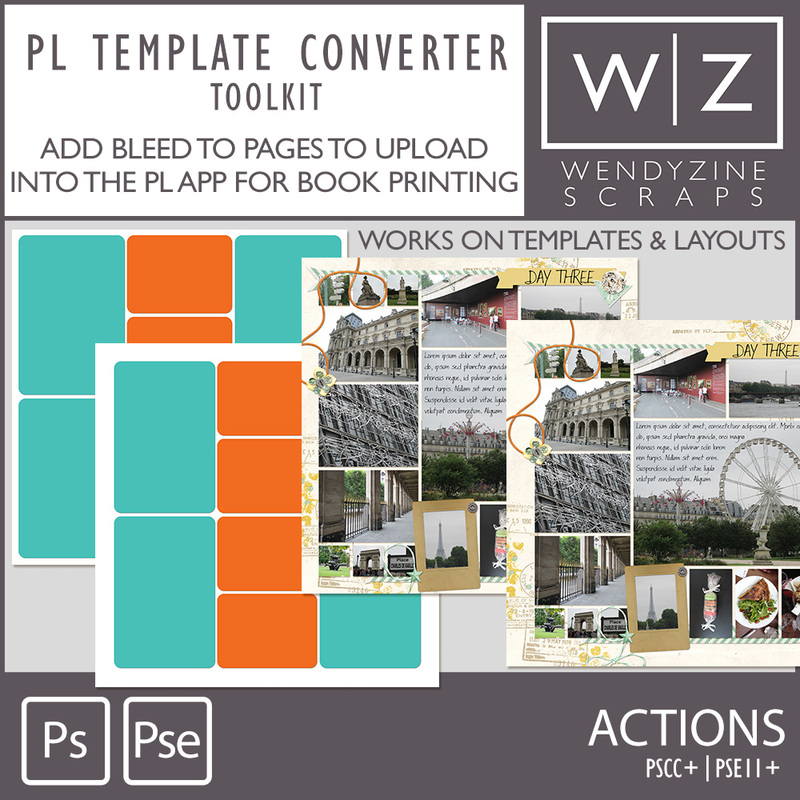 This toolkit will do that for you! Add bleed to 12", 10", 8" and letter books. Scrap double pages? Add bleed to 24", 20" and 16" double page layouts and save them as individual pages for uploading to the app. Have flattened pages and just want to add a black or white border. You choose from thin and thick. I recommend the thick for best results with bound books. NOTE: These products are not endorsed by Becky Higgins Project Life and are not affiliated with them. They have not been tested in the app. Though I contacted them to get exact measurements for these actions, they declined to collaborate with me, so I used the most common general numbers to add bleed to the pages. If you print a book and would like to see any edits to make these actions better, please contact me! Border actions (black and white) for all 12", 10" and 8" sizes in thin and thick borders. Personal use and scrap-4-hire use only.